Homeschooling is a twofold concept: finding what works for each child and also finding what works for you. Yes! It is SO important for the homeschooling parent to find a rhythm that works for them, especially if you are doing Montessori at home. This is key for stability, consistency AND sanity. So let’s talk about how to do that with a fantastic Montessori at home planner! I am a very organized person when it comes to our homeschooling at home. Because we are an eclectic homeschool, it is paramount that I stay on top of our rotation. 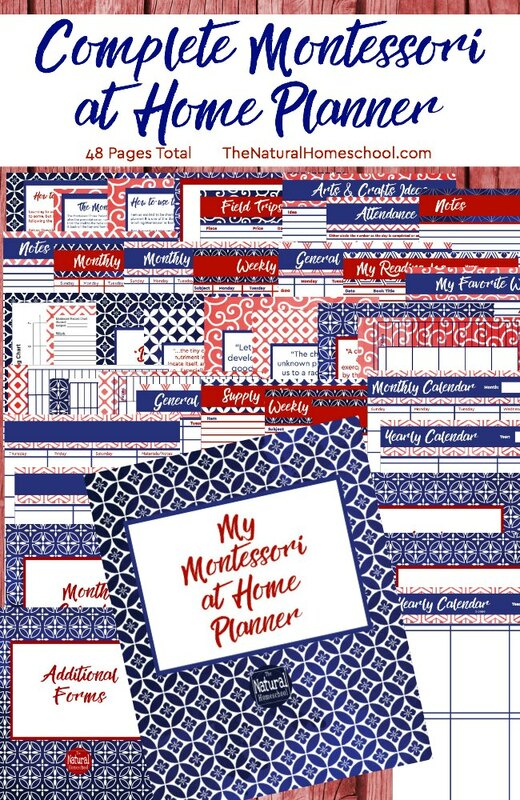 The Montessori at home planner has revolutionized my homeschooling experience! I simply created a planner that I with I had back when I first started homeschooling 7 years ago and included things that I can use year after year to keep me on track. 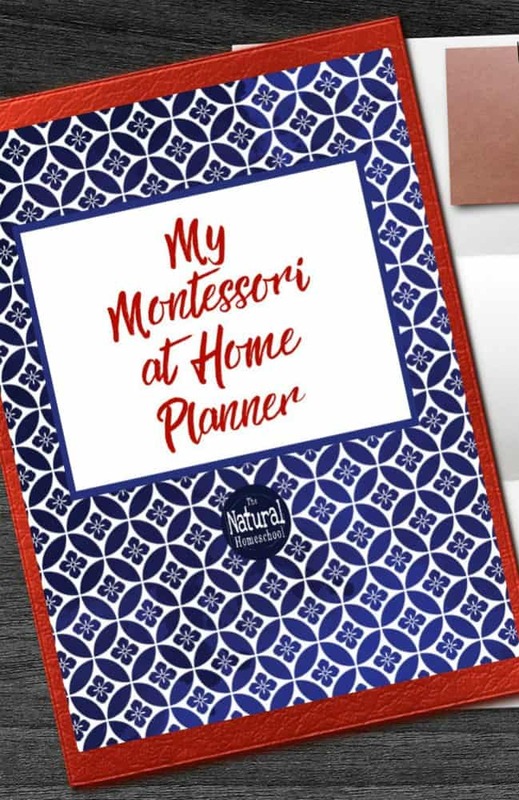 This wonderful and very helpful Montessori Planner is 48 pages long with so many great options for keeping your Montessori at home journey on track because we know that Montessori at home can look different from a regular Montessori environment. Read more about it HERE. Take a look at what it looks like once you download the file and print it out in color! 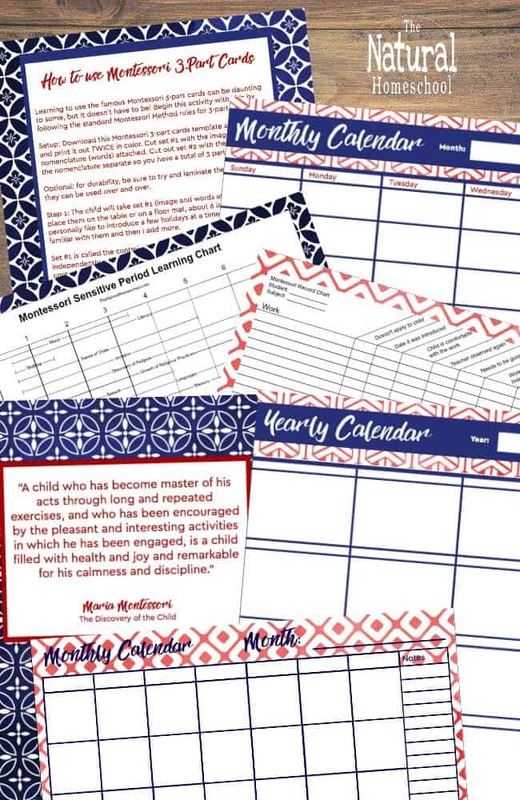 Read more about this planner and get tips on how to get organized in your homeschool HERE!